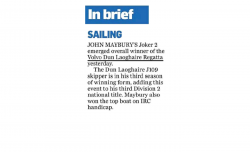 In a comprehensive series that marked his fourth successive victory in his J109, John Maybury on Joker 2 was awarded the overall Boat of the Week trophy at the Volvo Dun Laoghaire Regatta yesterday. 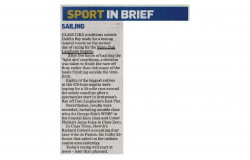 As the top entry under IRC handicap as well, Maybury sailed in the 28-strong Division 1 class and had one of the biggest turnouts of the event. 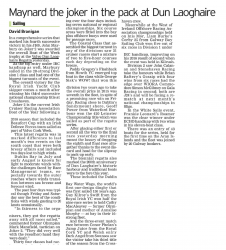 John Maybury’s Joker 2 emerged overall winner of the Volvo Dun Laoghaire Regatta yesterday. 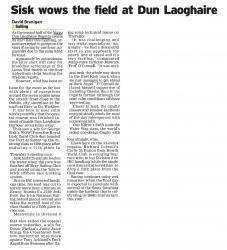 The Dun Laoghaire J109 skipper is in his third season of winning form, adding this event to his third Division 2 national title. 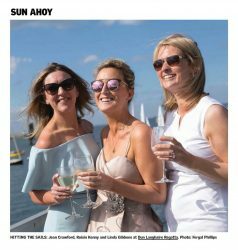 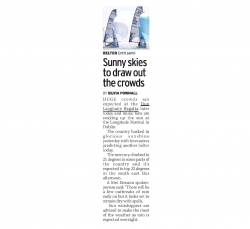 Huge crowds are expected at the Dún Laoghaire Regatta later today and music fans are soaking up the sun at the Longitude Festival in Dublin. 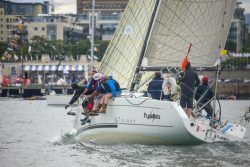 A sea breeze brought changes to the leader board in several classes in the penultimate day of Ireland’s biggest sailing regatta, the Volvo Dun Laoghaire Regatta on Dublin Bay today. 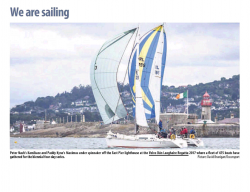 Despite good racing conditions inside Dublin Bay yesterday, light winds frustrated many of the classes competing in the long coastal course of the Volvo Dún Laoghaire Regatta, which was shortened by late afternoon off Bray. 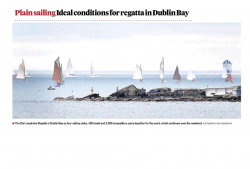 Glass-like conditions outside Dublin Bay made for a testing coastal course on the second day of racing for the Volvo Dún Laoghaire Regatta. 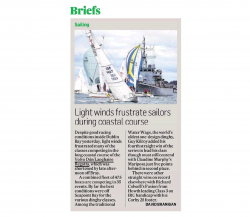 As the second half of the Volvo Dún LAoghaire Regatta awaits its start later this morning, organisers opted to postpone the start of racing by one hour, apparently due to the calm wind forecast.